Despite these 'injustices', Zidane's players could have easily been two or three goals up if they had been more clinical. They had numerous chances in the first-half with most falling to star man Cristiano Roanldo who has also had a frustrating season having only scored four league goals so far. Villarreal's goalkeeper Sergio Asenjo was arguably the star of the show, until Fornals' goal in the second half, with the Spaniard making save after save to keep his side in it. His highlight coming at the end of the first half, when he made a fine reflex save to deny Ronaldo after he was put through by a beautiful pass by team-mate Isco. However, Madrid did not have it all their own way with their Spanish opposition looking dangerous on the counter. It was in this exact manner which resulted in the shock goal. 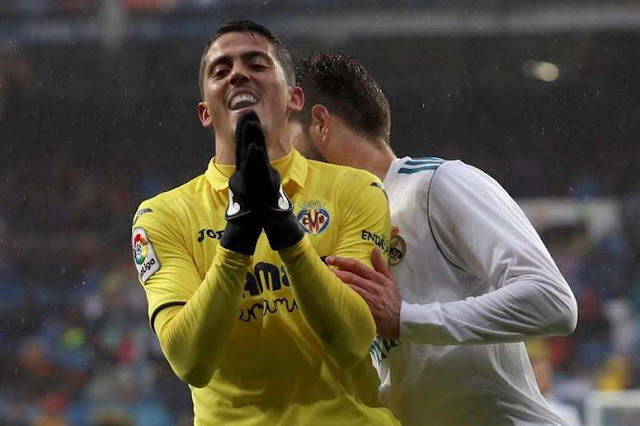 Pablo Fornals chipped Keylor Navas in a composed finish after the Costa Rican goalkeeper had saved the previous attempt from Enes Unal in the 86th minute of the game. It left the Bernabeu stunned and 'Los Blancos' could not find an equaliser in the dying moments of the game. The loss means that the Spanish giants miss the chance to close the gap on leaders Barcelona, who can extend the deficit to 19 points if they secure all three points away to Real Sociedad on Sunday. Madrid remain in fifth, five points behind fourth-placed Valencia in the final Champions League place. Zidane will need to pick his players up again, otherwise they could do the unthinkable and fail to qualify for the competition they won only 7 months ago. Referee Juan Martinez Munuera was cast as the villain of the piece when Atletico Madrid faced Getafe on Saturday, sending off Diego Costa. 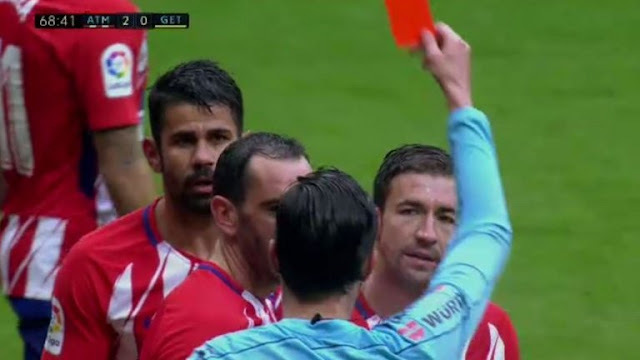 Being booking just minutes before scoring the second goal of the game, the striker celebrated by jumping amongst the Estadio Wanda Metropolitano faithful.However, by the letter of the law, such an action was worth a second yellow and Costa will now be suspended for Atleti's game with Eibar. Jose Mourinho revealed he apologised to Henrikh Mkhitaryan after taking the midfielder off at half-time in Manchester United’s FA Cup clash with Derby County. 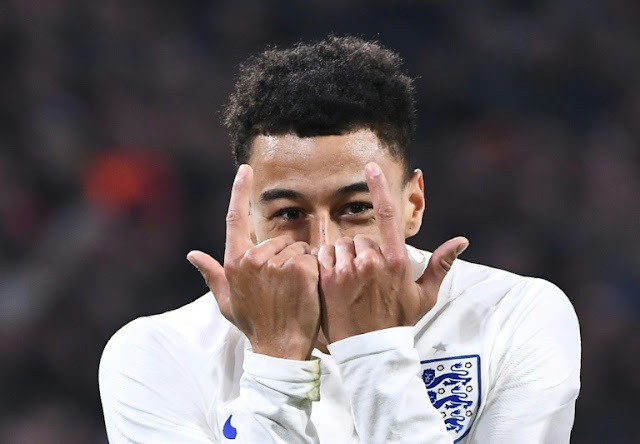 Goals from Jesse Lingard and Romelu Lukaku ensured the Red Devils’ smooth passage to the fourth round in the game at Old Trafford. However, Mkhitaryan lasted only 45 minutes before being hooked for Lukaku. 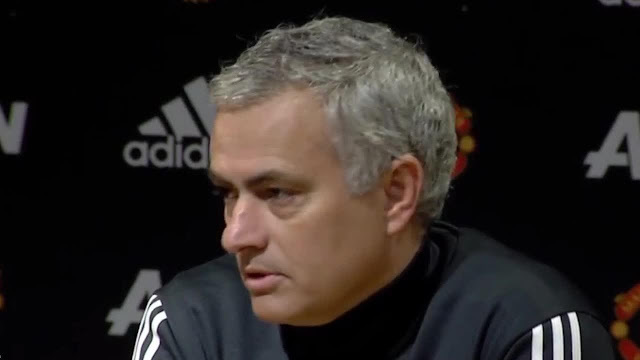 The Armenian looked bereft of confidence, losing the ball on countless occasions but Mourinho has apologised for withdrawing the midfielder so early. "(It was) unfair. Unfair," he said. "And I told that at half-time. I didn't like what I did. Unfair. He didn't deserve it. "He was playing well, he was not playing bad. He had a couple of missed possessions but he was playing well, he was giving (a) good dynamic to the team. "My feeling was just that (Marcus) Rashford is not going to score a goal.